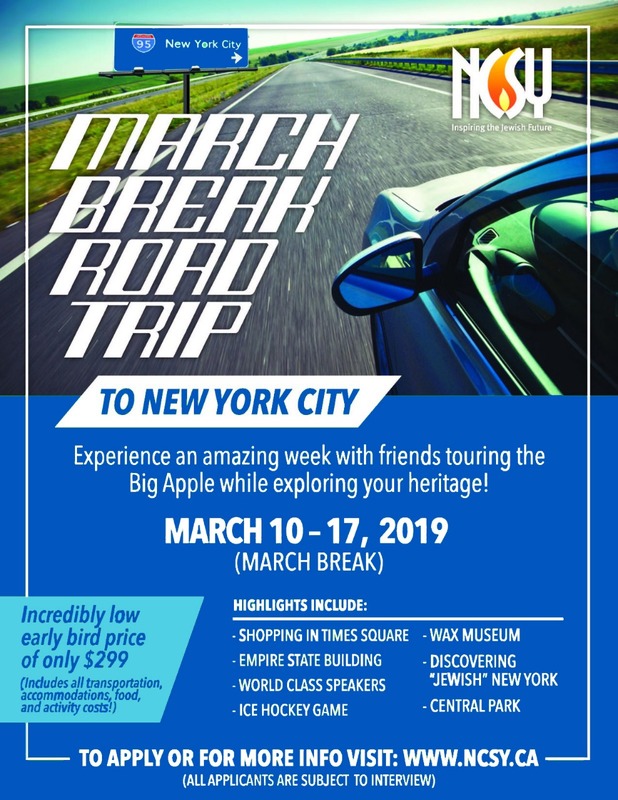 The March Break Road Trip to NYC! All applicants are subject to an interview. Trip is for grades 9-12 only.